As the world’s oldest construction material, timber is enjoying something of a renaissance as architects battle it out to design the world’s tallest timber building. Where previously, the height of a timber building was limited to 7 storeys high due to the risk of fire, new construction methods involving the use of cross laminated timber (CLT) have changed this. CLT is very solid and claims to be as good at resisting fire as concrete. Although concrete doesn’t burn, it can collapse at high temperatures, whereas CLT burns more slowly and the first flame does not appear until 400°C. Now a 10-storey residential building is currently being constructed in Hackney, which will be the tallest of its kind in the UK and similar developments are being proposed across the world as the boundaries on timber construction are being pushed to achieve ever taller buildings. 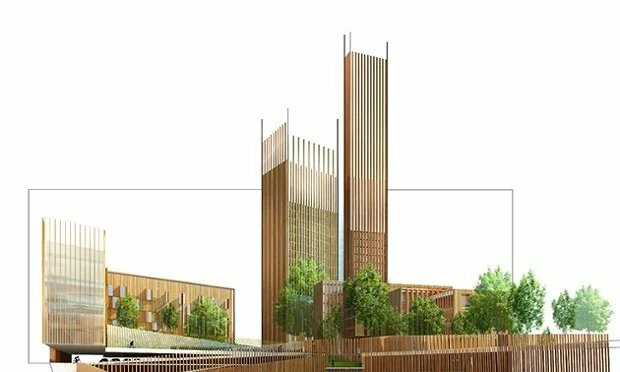 A 35-storey timber-supported tower has been designed by Vancouver architect Michael Green as part of a six-tower development in Paris called Baobab. The building will be over three times taller than the world’s current tallest timber building, the ten-storey Forté Apartments in Melbourne. Other 30-storey-plus wooden towers are planned in Stockholm, Vancouver and Vienna. And it’s not just these new heights which are creating a renewed interest in timber construction. 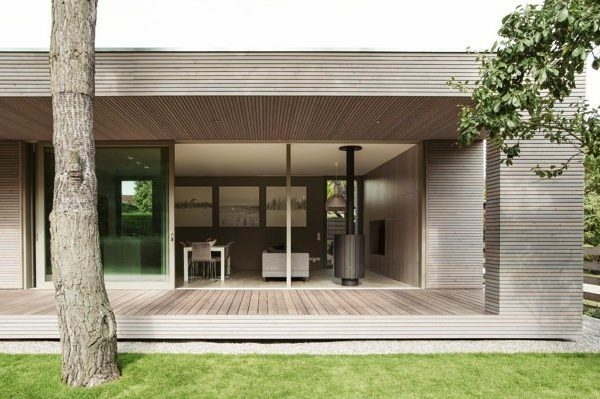 The health aspects and environmental credentials of living a wood home are very appealing, plus it’s thermal efficiencies and acoustic qualities, low running costs and versatility of texture and finish have all positioned wood as the construction material of choice for many prominent architects across the world. In the UK, although in Scotland timber frames are used in 70% of new-build homes, until recently bricks and masonry products were the main choice for developers in England and Wales, leaving timber with just 15-20% market share. However in the past couple of years, timber has started to grow in popularity and is being used in an increasing number of developments. It’s use is predicted to rise, with sales enquiries up by 40-50% on two years ago, according to Alex Goodfellow, group managing director of Stewart Milne Timber Systems. A recent report into the UK timber frame market by MTW Research highlighted a profit growth of 0.5% in 2014, with double digit sales growth over the past 2 years, and a forecasted sales growth of 20% by 2019. As the country comes out of recession and housing demand is high, timber meets the challenge for a fast, sustainable, cost-effective build. The factory conditions used in the offsite manufacturing of timber frames ensures a better quality finish, there is less onsite activity and construction waste, plus a reduced risk of accidents.